We would like to thank all our customers for their continued support of the cafe and wish you all a warm winter and happy holidays. We will be re-opening on the 30th March 2013 with some new ideas to compliment our existing menu. 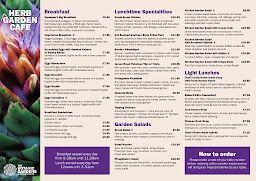 New for 2013 will be our breakfast menu served until midday everyday. We look forward to seeing you next spring.